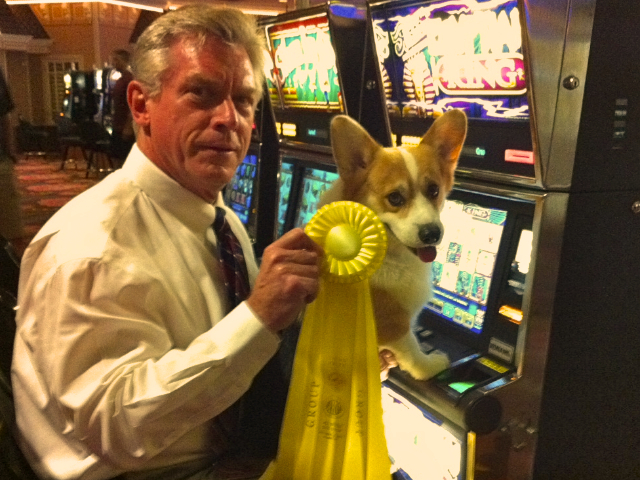 Got Best of Breed and a Group 3 BOTH days at the Black Mountain Kennel Club show at Primm Valley Resort and Casino in Nevada. Tracy Liston took me in on Saturday, information pills I took mom in for Breed on Sunday, click and dad took me in for Group on Sunday. Thought I'd try my luck at the slots… dad told me I won ice cream.